Do your children ever forget to say thank you? Most children need quite a few reminders from their parents before they reliably remember on their own. If your kids could use a little practice in saying thank you, Halloween provides a perfect opportunity! 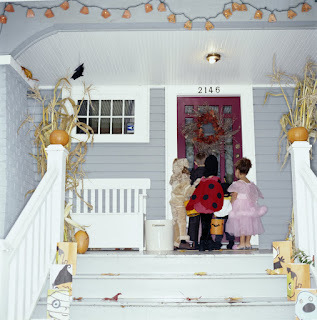 Before they go trick-or-treating, review how they should respond when someone gives them a treat. Try role playing different situations to give your kids an opportunity to practice before the real thing. When they are out trick-or-treating they may still need a few gentle reminders as the excitement of the evening can cause kids to forget. Practicing on Halloween will help them improve their gratitude skills!